Every professional at some stage of his/her career is faced with the question, ‘am I making the right choice?’ To quote Charles Lamb, “The measure of choosing well, is, whether an individual likes and finds good in what he has chosen.” And so, this one step-choosing a path and standing by it-changes everything. Broadly speaking, a career in law comprises two main streams, viz, litigation practice; and corporate practice. The predicament of having to choose between the two practices exists for a majority, not just for fresh law graduates and prospective law students, but also for professionals from other unrelated/related fields desirous of taking the plunge in the increasingly competitive legal profession. To be able to choose between litigation and transactional work, one needs to evaluate one’s interest and capabilities in these two areas. An interest in complicated fact patterns, especially those involving conflicts; excellent communication skills; belief in the adversarial mode and vindication of rights, indicates that litigation will be a more suitable career choice. On the other hand, if one believes in strategic alliances rather than conflict, and if economic and financial data is of interest, then a corporate/transactional practice will be more suitable. This may also appear to be a viable option for those who are dissatisfied with the limits of litigation as a method of dispute resolution. Sometimes the content of the practice is an indicator which helps in overcoming the dilemma of making the choice between the two. If you are dissatisfied with indiscriminate litigation and prefer advocating for a single cause; or you are dealing with ‘litigation conflict’- the feeling that one is constantly on the wrong side of every issue, it points unfavourably towards choosing litigation practice as a career. Similarly, one may enjoy business practice and yet feel that in essence not much is at stake in mega-deals, and would prefer to work with small businesses or start-up ventures, which gives an opportunity to directly deal with those clients whose livelihood depends upon your services. A comparative analysis of litigation practice vis-à-vis corporate practice reveals a healthy set of imperatives for both the areas, depending on the aspirations and the support system. Litigation tends to be preferred by those who already have an existing setup, including family/parental practice. As is true of every other profession, first generation lawyers often face challenges in setting up litigation practice. This is not to say that you cannot succeed on your own, as long as you are patient, hard- working, have good communication skills and a faculty for critical analysis and articulation. Litigation is considered a lucrative option, albeit in the long run. It often takes years to establish a litigation practice. Even then, some amount of uncertainty is always attached to this field. In the transactional side, since the clientele comprises primarily of multi-nationals and corporate houses, one can expect handsome remuneration at the outset. As far as quality of work is concerned, litigation offers exposure to wide-ranging issues depending on the clientele. One can choose between diverse areas such as domestic/family disputes, taxation issues, employment issues, property matters, civil laws, criminal laws, so on and so forth. Corporate law practice primarily involves two key requirements of corporate sectors, ie, advice on compliance with various laws/corporate governance for effective functioning of business; and advice on business alliances in myriad forms. It is often argued that by being a part of the in-house legal team of a corporate enterprise or working in a corporate law firm dealing in transactional work, lawyers tend to get straight-jacketed into a particular area/field, for instance, a contract lawyer will primarily be involved in contract negotiation and drafting of agreements, joint ventures etc. In India, the twin roles of a lawyer, ie, of representing clients in the courts and the transactional work (other than litigation) are merged. As recently as a decade ago, the practice of law in India was by and large confined to courts, tribunals, arbitration forums etc. The sheer number of black-robed men and women crowding the courts across the country, from the district court to the Supreme Court, would give the impression that majority of lawyers pursue litigation practice. That is only partially true. There was a phase wherein the majority of the brightest minds from our premier law schools moved away from litigation. They chose to join corporate law firms or the legal departments of corporate houses and had little or no desire to spend time in courts. The reason is not far to seek. With transactional work emerging as one of the fastest growing area(s) of legal practice, the importance of accurate and swift corporate legal advice cannot be over-emphasized. Corporate lawyers do not tire of pointing out that the new-age generation lawyers are opting for board room battles over court room battles. With markets opening up; a spurt in capital market related activities, acquisition transactions; and emergence of foreign exchange issues etc, corporate advisory work increased substantially. Infact, the very nature of legal assistance expected from legal counsels underwent a drastic change. Another notable change has been that while earlier transactional practice primarily meant drafting agreements or giving legal advice on corporate law-related matters, with the prolonged economic downturn, there has been a surge in “corporate litigation”. Corporate houses are more willing than ever before to litigate whenever their interests are at stake, and the stakes have become high! From challenging government's taxation policy and tariff demands to fighting other corporate houses over breach of contracts/agreements, corporate litigation is rising. It is this corporate litigation work which is now offering diverse opportunities to lawyers. In today’s business driven economy being a “robe-clad” lawyer is not the only option. While many law students often think of setting up their independent practice, the difficulties inherent in litigation leads to a vast majority of fresh law graduates either not joining litigation or leaving it after a short stint. This is particularly true for the practice in lower/trial courts. The result is that law graduates miss out on the hands-on court experience- which does not augur well for their overall development as a lawyer, and for the growth of the profession. It is estimated that more than five million practitioners are engaged in litigation. The chief players being individual lawyers and family- run law firms. Despite the long gestation period, a stint in litigation is considered indispensable by many. Experts say that while individual choices must be respected, law graduates should not miss out on litigation work- an important step towards becoming an all-round lawyer. 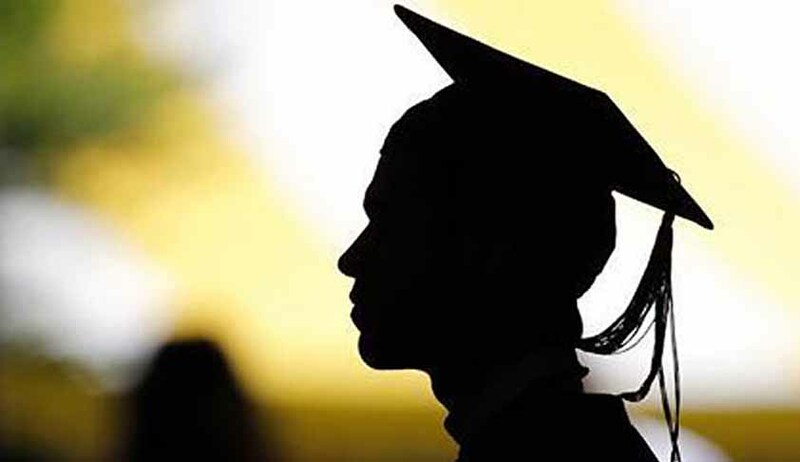 Ideally speaking, a graduate should consider corporate work only after having spent initial few years in practicing before the courts, either with an established lawyer or a litigation firm. Exposure to litigation helps in building skills of drafting legal arguments and written communication, legal research, analysis and judgment, eye for detail and ability to handle volume of work, dealing with multi-client portfolios, nuances of court procedure, oratory arguments. Above all, it imparts a sense of urgency in providing relief to a client, while still exercising patience. It’s not all routine mundane work for the young litigating lawyers, who now also get opportunities to hold discussions with clients and even make appearances in court. The exposure, therefore, is immense. Litigation is considered more intellectually challenging and rewarding when compared to routine non-litigation work. Now-a-days companies too are looking to hire litigating lawyers with extensive litigation practice. This trend is also reflected in law firms which have taken to expanding their litigation teams. Some of the key sectors which have witnessed a surge in litigation include banking, taxation, mining, foreign currency convertible bonds (FCCB) related issues, etc. On another note, with the economy slowing down, areas like liquidation, winding up, bad debt recovery, even corporate frauds are keeping litigating lawyers busy! The fact that litigation practice is once again generating enthusiasm among fresh law graduates is evident from the fact that Bars across the country witnessed considerable interest from law graduates in 2012. Rise in number of litigations involving corporate elite is also inspiring the young lawyers. Career decisions of young lawyers at the threshold of their career are influenced by the nature of legal work because of the insatiable urge to acquire and master new skills. The best interest and concerns of clients become important as lawyers acquire skills and decide to shift their focus to the areas in which those skills can be implemented. The first part of a career, whether in litigation or corporate, is a combination of doing the tedious work and learning professional techniques. While doing the tedious work can be unpleasant, learning the professional techniques, whether it is taking a deposition in a litigation or attending negotiations of an agreement in a corporate transaction, is interesting, as long as one is open to the process of learning. It would be wise to bear in mind that majority of lawyers in India still work in small set ups, be it independent practitioners and/or small law firms. Odds are that you might too. Delving into this side of law practice will give you valuable insights into how most lawyers work, and in turn help you determine if this would a viable alternative to the long hours that often accompanies working in big law firms and corporates. Above all, know that law is a profession as well as a business. Law school will teach you ethics, but it will not teach you law practice management. For all the time, energy and resources that you are spending on becoming a lawyer, the fact is that you will not be taught about how to be a lawyer. This is the “self-help” part of your curriculum. Familiarise yourself with how the business of law works. In the contemporary legal landscape, the distinction between "traditional" and "non-traditional lawyering" is increasingly getting blurred. In the new avatar, today’s lawyer is a consultant, an arbitrator, a deal-maker, a negotiator-all rolled into one. Your task is to anticipate and understand how you would like your career to evolve. spoke to Arpita Singh and Rishabh Chopra of Vahura, India's premier legal talent house. Arpita heads the Mentorship division which focuses on law schools across the country, and Rishabh leads the law firm recruitment practice in New Delhi NCR region. (Q1) What are the current trends in the legal market? Are law graduates moving back to litigation or is the lure of law firms enduring? Law graduates have various options available to them and we see a mixed trend in the legal market. Apart from the traditional and the more popular options like joining a law firm or a practicing lawyer or a corporate in-house legal department, many are exploring various other avenues such as alternate lawyering, research and publication, LPOs and academia. Within law firms as well, we are seeing an emerging trend of specialising in Intellectual Property, Taxation, Competition Law, Sports Law and Arbitration. As far as litigation as a career option is concerned, typically in the past only 10% from a batch would pursue it after graduating from a top law school. However, recently we see that two (2) out of every five (5) students keep litigation as one of their topmost career options. (Q2) Do legal professionals think of making a switch from one side of practice to another? Given that there are various options available in the legal market, it becomes easy for an experienced lawyer to transfer their respective skill sets and expertise from one domain to another. We do see an increased trend of litigation lawyers and corporate lawyers moving to an In-House role after gaining significant experience in their respective fields. On the other hand, if a lawyer wants to move to a law firm from an In-House role, generally we see the movement either at the junior level (1-3 years) or at the senior level (12+ years). (Q3) Are law firms expanding their litigation teams? Due to recessionary trends in the economy, we have noticed a slowdown of corporate work in law firms. On the other hand, we have seen a tremendous growth in the dispute resolution space where a lot of work is being generated on the corporate litigation and arbitration side. It is interesting to note that corporate law firms are continuously expanding their dispute resolution practices in the current market. In light of the same, there is a demand for good quality and experienced dispute resolution lawyers in law firms.